We are a diverse group of college students, community organizers, educators, technicians and other professionals from Newark, New Jersey, and the surrounding cities working collectively for the common good of all life on this delicate planet of ours, and to help make our communities more sustainable. We strive to empower communities through our advocacy of localized energy production, with programs centered on the cultivation of organic produce and the use of clean renewable energy. Newark SAS prides itself on an array of outdoor/indoor learning experiences that allow participants to put theory into practice as well as connect more with nature. 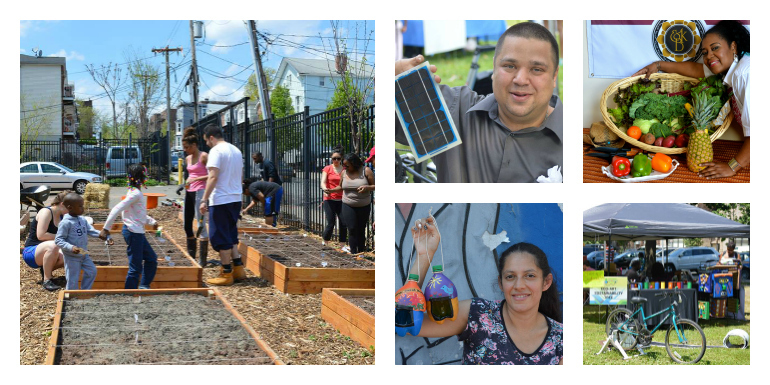 We host a variety of educational, hands-on programs around community gardening, ecological building, eco-art, wellness & nutrition education, and clean renewable energy. Our renewable energy programs/projects are geared around solar, wind, battery packs and pedal bike technology. To demonstrate how technology, humans and nature can coexist harmoniously.